Two days is never enough time to spend in Paris. Perhaps I tried to squeeze too much into my senses, because my brain definitely went into overload. All went perfectly as planned for my short visit to Paris. The only small mess-up happened when I realized the AIRBNB apartment I rented was on the sixth floor, with no elevator. As you’ll remember, Geoffrey came to the rescue when he summoned the cab driver to carry my two gy-normous suitcases up the stairs. He was talking on the cellphone in Uzes to the cabby at the airport in Paris. 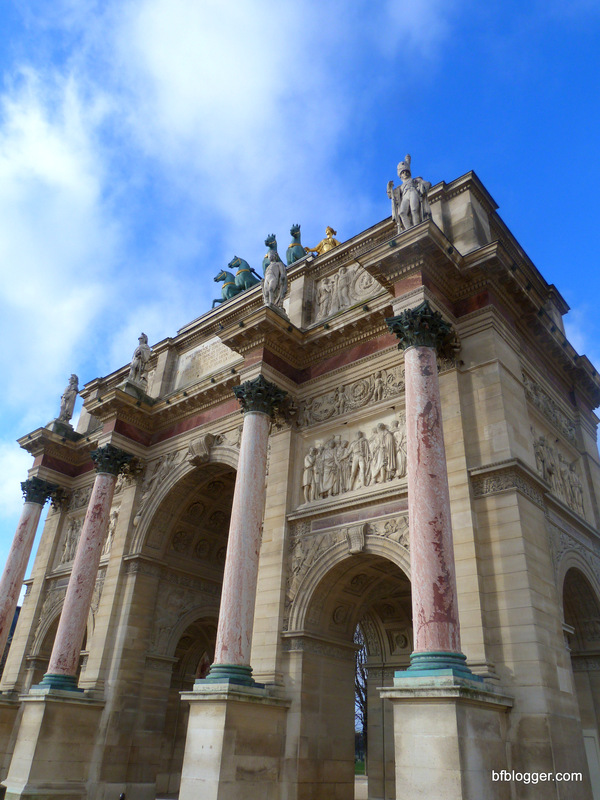 A short walk from the apartment where I stayed for two nights, across the Place de la Concorde, took me straight to the Jardin des Tuileries and the bank of the Seine. 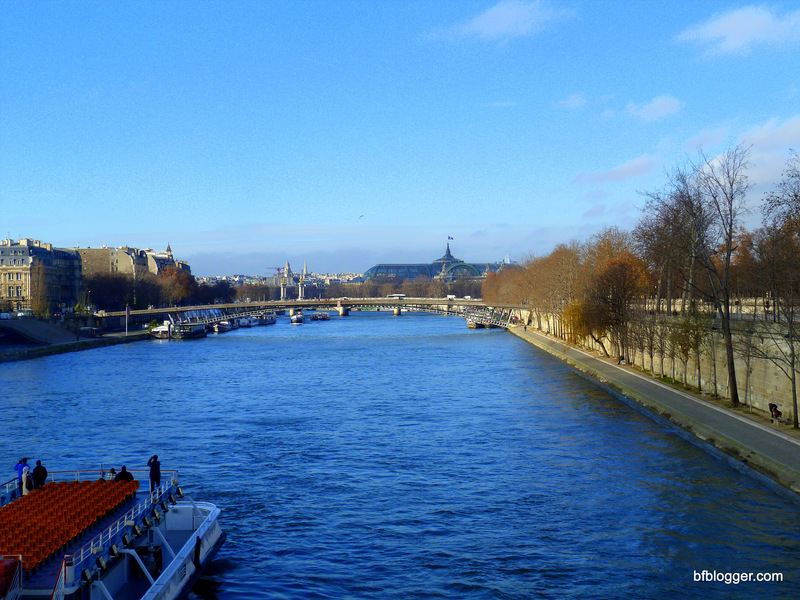 The traffic and bustle of the Paris morning was drowned out by the beautiful scenery along the way. 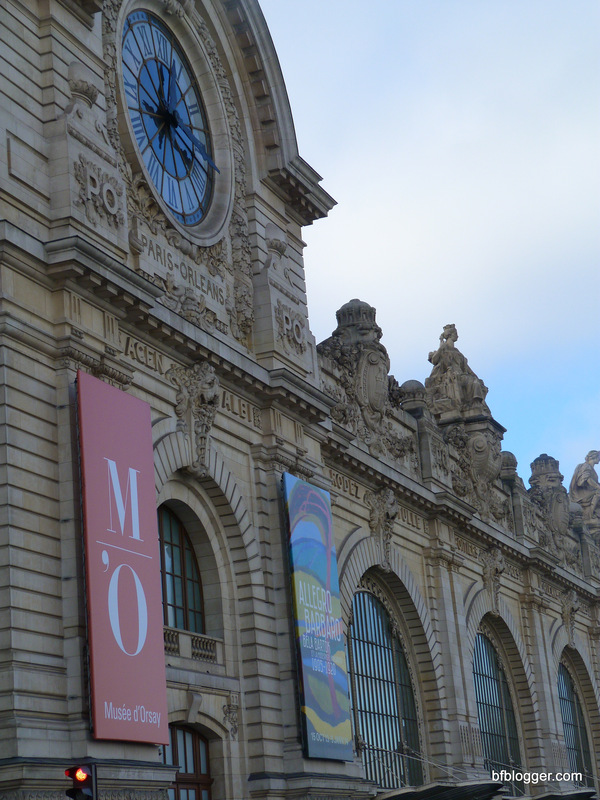 Fortunately, the weather was perfect for my slow stroll to the Musée d’Orsay. I wanted to take it all in — the smells, the people, the noise and the sights. 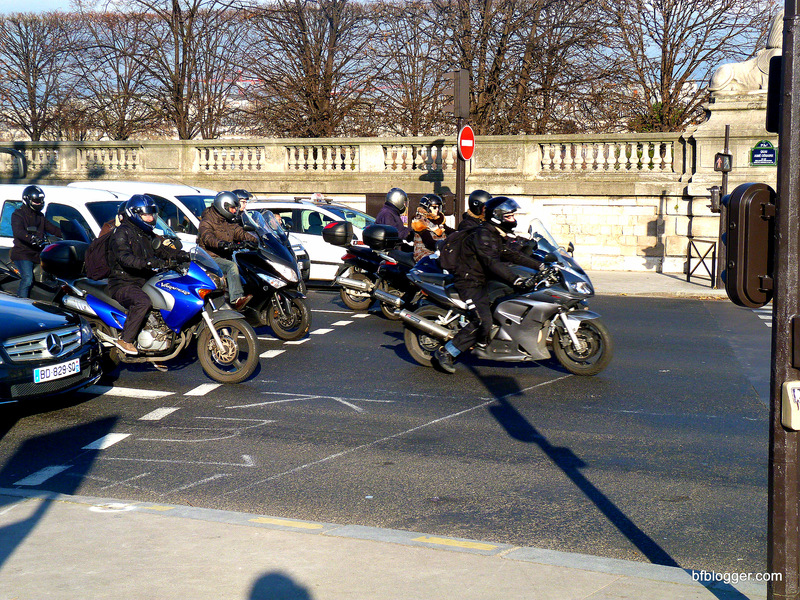 Motorcyclists speed to work, seemingly unaware of the city’s sights. 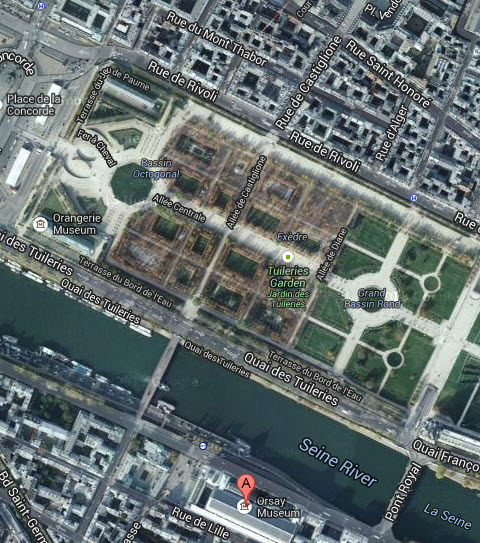 Even though I’ve been to Paris before, I’ve never seen it like this. On my own and with no real agenda, I was perfectly free to spend an hour or so taking photos, or to stop for an espresso in the park. Surely I’ve seen these statues before, but now they seem to have more meaning. Who can help but wonder what was going through the artists head with this pose? 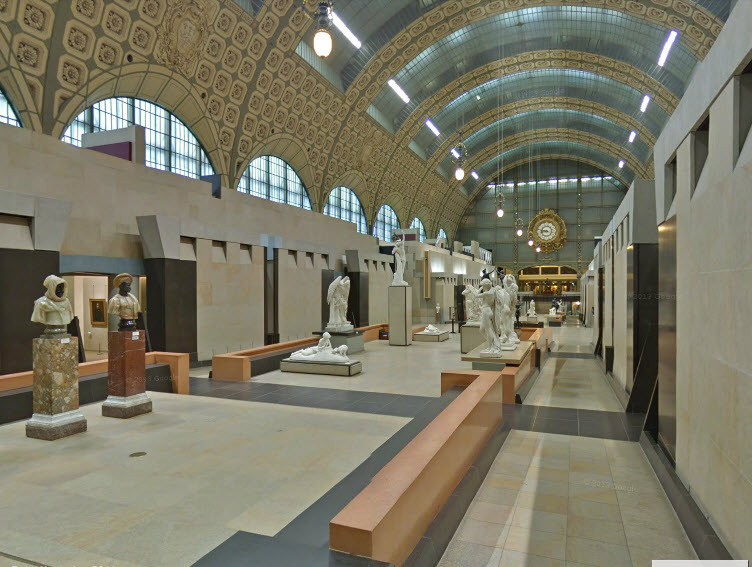 The Musée d’Orsay is a “must see” whether you enjoy art, or not. Formerly an early 20th century train station, the museum holds the largest collection of impressionist and post-impressionist art in the world. Its architecture heightens the drama of the building with soaring windows and steel beams. 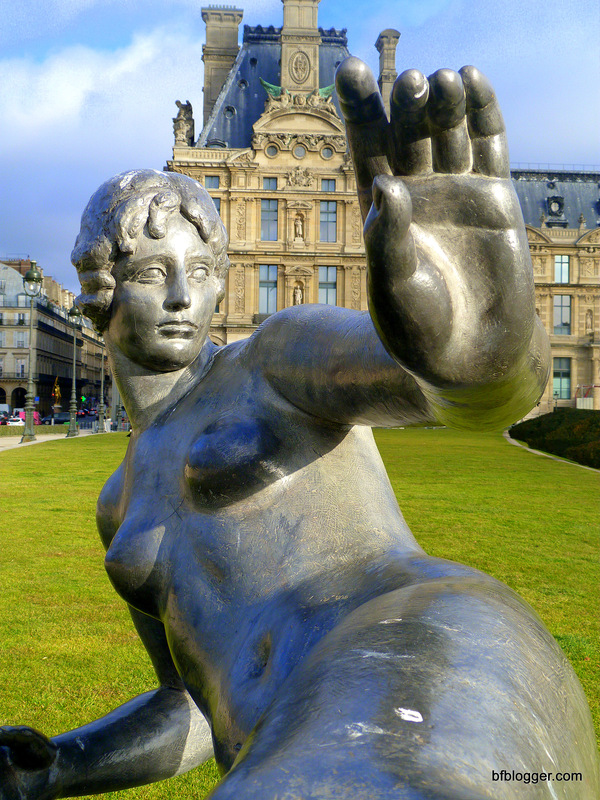 A “living” museum, the Orsay is active with learning opportunities for people of all ages that are scheduled throughout the year along with concerts and rotating art exhibits. 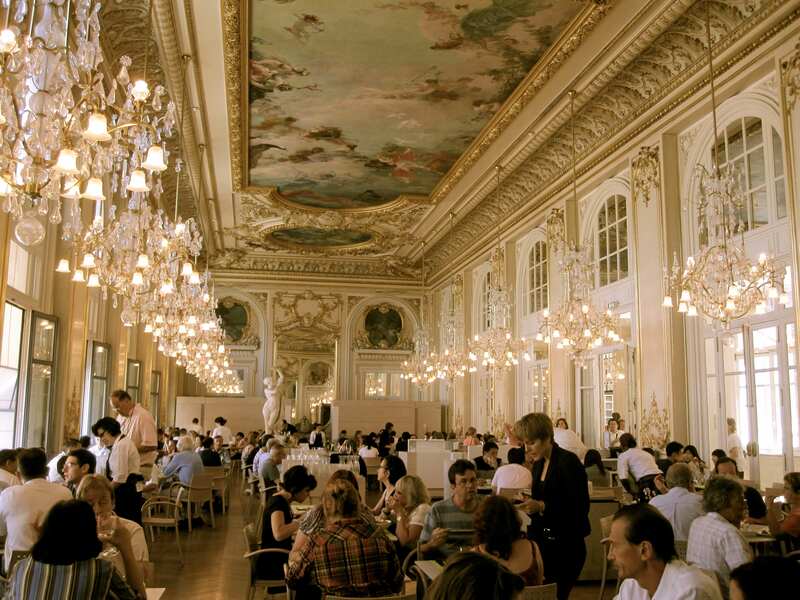 For “foodies” like me, the museum had cafes and restaurants that range from casual to formal.The day I visited, I ventured all the way to the top of the building to the Musée d’Orsay Restaurant. The view and the food were magnificent. There’s something about taking in a setting like this that makes traveling more fun for me. I can imagine dining with Royalty. Truly, I have a champagne and caviar appetite on a “plat du jour” budget. 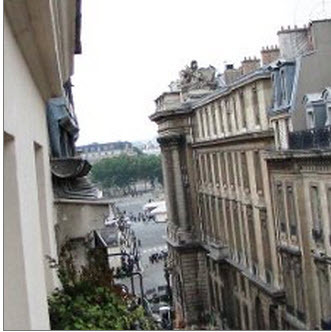 The rest of the Paris trip is chronicled in the Paris Lights post. The part you don’t know is what happened next. Remember the spiral staircase in the apartment building? Geoffrey may have saved the day when I arrived in Paris, arranging for the cabby to carry the bags up the six flights of steps. Now I was on my own. No problem. My kind host at the AIRBNB apartment arranged for a cab with a driver who would come up for my bags. The cabby didn’t even mind that he was picking me up at 4am for a 7am flight out of Charles de Gaul. Case closed, done. The morning of my departure home came earlier than I wished. After walking for hours along the Champs Elysee, and after a nice dinner and after treating myself to a ride on the Paris “Loop”, it was a short night. The morning alarm clock that rang at 3AM was most unwelcomed. Nevertheless, I scampered out of bed and readied myself for the long trip home — from Paris, through Frankfurt, to Atlanta. Just as scheduled, the cabby arrived, hustled my bags downstairs, and we were off to the airport. 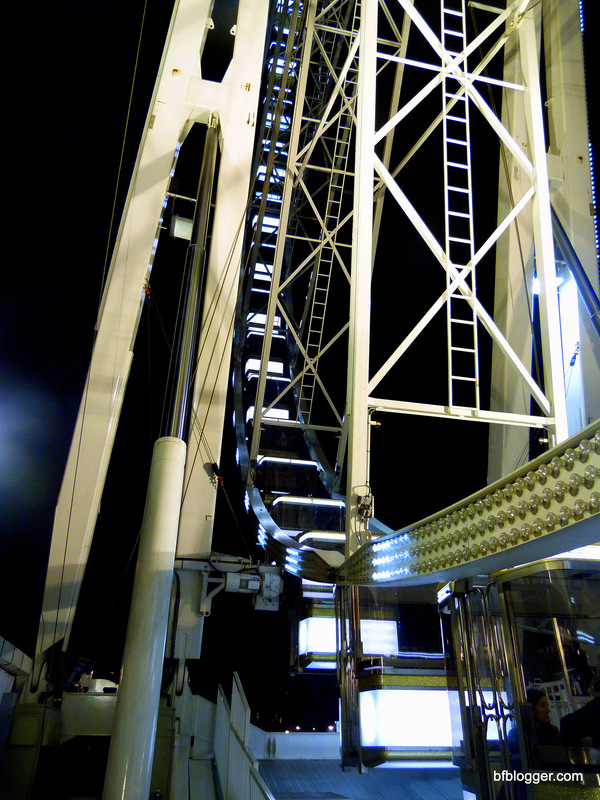 Since there was hardly traffic at 4AM, we made it to the Charles de Gaul at close to 4:30AM for my 7 o’clock flight. Not only was there no traffic on the roads, there was hardly a soul at the airport. 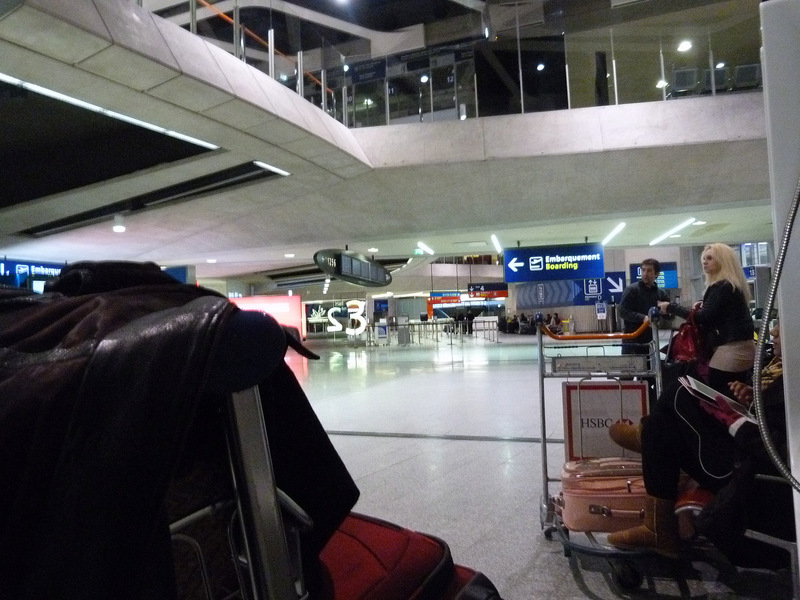 A few people were huddled near the United Airlines desk ready, like me, to check baggage when the attendant arrived. I sat down to make myself as comfortable as possible. No attendant at the United Airlines desk. By 6:30 a United person showed up and a short line formed. I was in the front. I should have known something was wrong all along, right? My flight was scheduled for 7am. 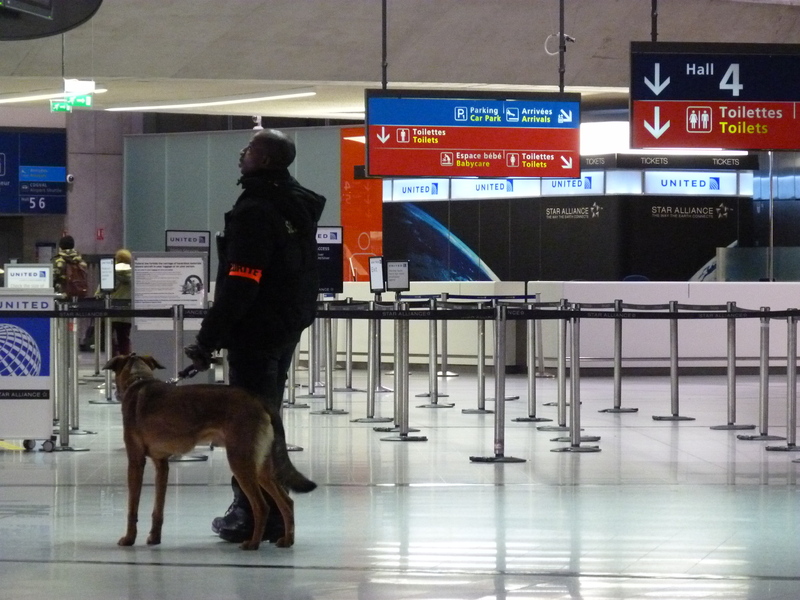 I hadn’t checked my bags, no security, no gate stop. All that was going through my mind was that perhaps flights had been cancelled in and out of Paris. The United attendant looked at the itinerary I handed her. It was printed straight off the United Airlines website. She looked at me, she looked at my luggage. Was she going to scold me for carrying too many bags? I’m not certain what sound came out of my mouth next, but I’m still hoping the attendant isn’t well-versed in English 4-letter words. “But, I made the reservation with United!” I cried. “Where’s Lufthansa?” I murmured as I fled away in tears. “Around that way,” the nice United lady directed as she pointed to the right. Screeching through the now-busy airport to the Lufthansa desk, I was met by a very strict-looking German lady. When I told her my mistake, she wasn’t phased. “Too late”, she said in part German/part English. “But, but …” I literally cried, although I knew I didn’t have a chance with her, nor with my situation. 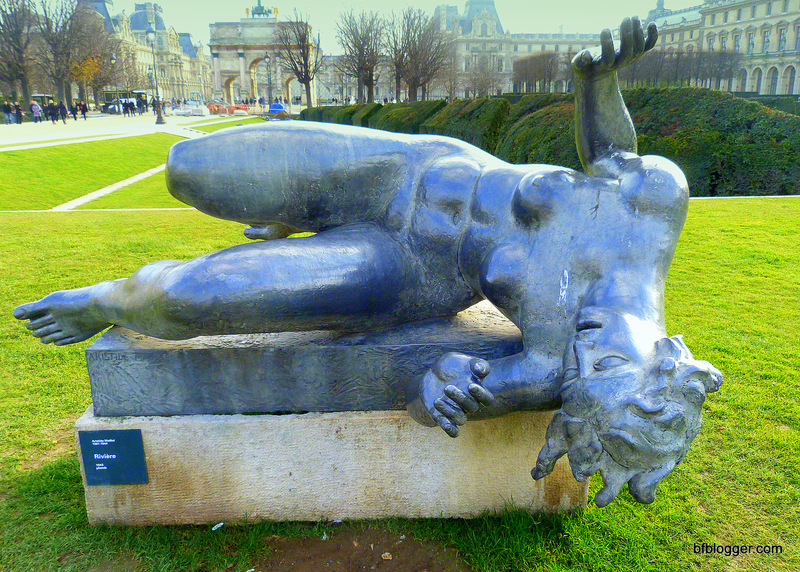 I had been ready to leave Paris since 3AM in the morning. Now I wasn’t going to get home at all! There was a time when this news would have sent me into orbit. Fortunately, my new “sensibility” to adventure set in. This will make a great story! I swear, I can’t make this stuff up! Needless to say, I was fortunate to get a flight to Atlanta through New York, in spite of the holiday tourist surge. 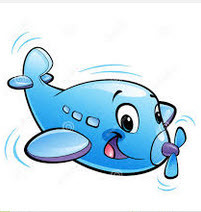 Better yet, the tale of my airport dilemma made a big hit with the flight attendant assigned to my coach section in the very back of the plane. He supplied me with free drinks all the way. You have the gift…make lemonade out of lemons! Oh wow…just when you think everything is going to plan!